(Maschinenpistole 3008 or "machine pistol 3008", also Volks-MP.3008 and Gerät Neumünster) was a German substitute standard submachine gun manufactured toward the end of World War II in early 1945. 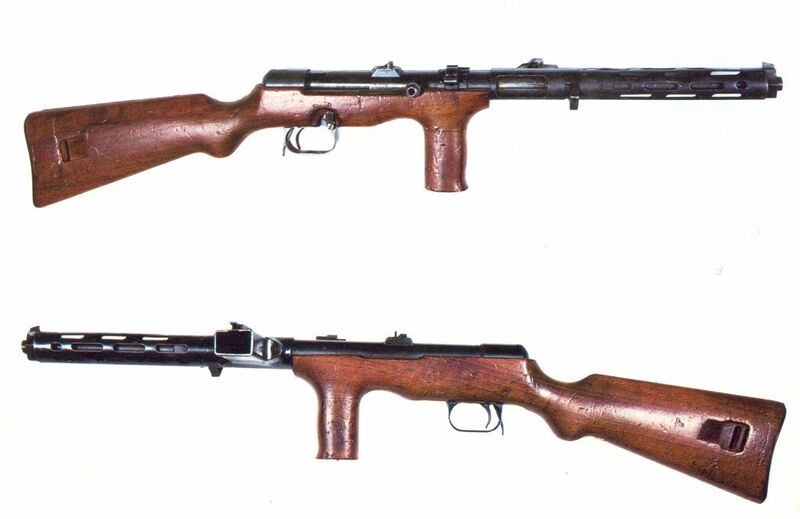 (Maschinenpistole 40) was a submachine gun chambered for the 9×19mm Parabellum cartridge. It was developed in Nazi Germany and used extensively by the Axis powers during the Second World War.